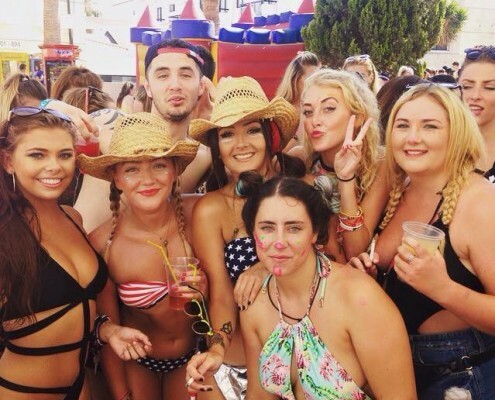 The first step in arranging a summer working in Ayia Napa is sending through to us your completed application form. If you’re successful then we immediately begin the process of matching you to one of our many jobs based in Ayia Napa. Unsuccessful candidates will be informed promptly of our decision, giving them time to look for alternatives. We will register you as a recruit and start the process of making you a Napa worker. There are several reasons why you would not be suitable for the jobs that we recruit for. If this is the case but you still would like to go to Ayia Napa for a long holiday or to try and arrange a job yourself then we can still help you with accommodation. So you’ve decided to escape the UK for a summer season of Lazy days down the beach and non stop partying in Ayia Napa? Incredible nightlife (Oh and a bit of working!) Firstly, it will be one of the best decisions you’ll ever make. Working abroad is an incredible experience that everyone should try at least once. It will open your eyes to what will seem like an entire world away from the rainy UK and your old boring routine. You’ll make new friendships and memories that will last you lifetime along with a new independence that you will take on to your new adventures in the future! A summer spent in Ayia Napa will truly be an experience you will never forget, and for first year workers there are literally hundes of jobs available. 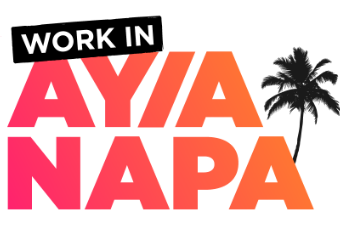 With hundreds of bars, scores of nightclubs, tons of bar crawls, beach parties, boat parties at the last count We have three words of advice if your thinking about working a season in Ayia Napa. Just Do It! It is quite possible for any adventurous person to spin a globe and rock up anywhere that sounds appealing on your own and see how you fare. We encourage this and if all works out well is ultimately the most rewarding experience. Realistically however, many people now choose to seek help when it comes to their summer working away. Experience in where to go, and what to do, is very valuable and doing so at the same time as other like minded people will always be a benefit. Our services provide you with guidance on the best flight options to choose from any home location to the resort. We will provide you with decent shared workers accommodation in the heart of the resort, where you will meet other workers doing exactly the same thing as you. One of our team will meet with you and others and take you all out on a couple of wild nights around town, showing you all of the sites that the resort has to offer. After a few days you will be familiarised with the location and our staff will then help you find your pre arranged place of work. This will be a great help in not only introducing you to managers and business owners, but also help you decide just what your best suited job will be for the summer.It could be a bar tender, ticket seller, PR, DJ or others! The accommodation is for any 4 weeks you choose from April until the end of August. Once your 28 days has expired, you can either stay in that room, or move to an alternative workers block for the duration of your stay. Our job is to get you on your feet and settled in accommodation and work, and most importantly connected to new people. Note that limited places are available, make sure you APPLY as early as possible. For all our successful candidates we do a full and all inclusive flight search to make sure that your journey is as cheap and convenient as possible! We are going to recommend the right health insurance for you from one of the trusted providers. Our Rep will meet you on arrival and introduce you to our employers. 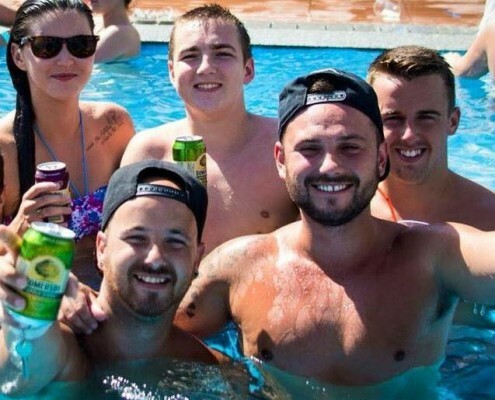 We will be on hand as soon as you arrive in resort, providing transfers from the airport to your Accommodation and of course organising an amazing welcome week for you – BBQ’s, Pool Parties, Bar Crawls and Booze cruises are all included. Once you have settled in, our Resort team will keep you informed of all relevant job opportunities that arise. We will arrange gainful employment matched to your personality, skills and ambitions – we have hundreds of vacancies for bar persons, promotional staff, nightclub hosts, dancers, party organisers – 90% of our vacancies require no experience, just the confidence and personality to learn! 4 weeks fully paid accommodation on arrival is included in your package, as well as Seasonal accommodation secured if you decide to stay for the whole season. Spaces are limited for early season dates so Get in touch NOW. We will set you up with full worker discount privileges so you are not overcharged on drinks, food and nightclub entry. And of course our legendary staff will take great pleasure in introducing you to the local hotspots – bar crawls, beach and pool parties, boat parties and the hottest club events. Please visit our FAQ page for the full info. Once you are selected and your deposit is paid your place is secured. You will then receive the W.I.A.N (Work in Ayia Napa) welcome pack.